"Obviously we prefer Kyrsten Sinema," said Quinlan. But "our calculation is there are probably a lot of conservative voters who realize (Gammill) is a far more consistent conservative than Wendy Rogers. ... We're pretty much taking (Gammill's) positions directly from his website and sharing them." It appears Andiola's recent departure from Sinema's employ may have been a forced departure, based on pressure that was placed on Sinema and her congressional office for hiring a staffer who is supportive of an Immigration "advocate" who spews anti-USA rhetoric. Just as important, according to sources, Andiola was a $50,000 a year congressional office staffer allegedly mooching for money to take a trip to Washington with her mom. See screenshot below. 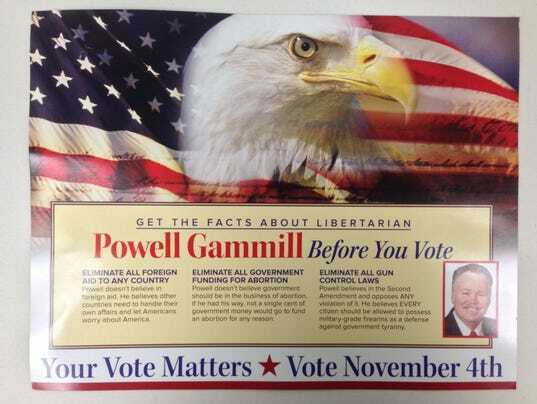 ADP’s DJ Quinlan is banking on his perception of naïve Republicans believing Powell Gammill is more “conservative” than Wendy Rogers when in fact, Libertarian candidate Powell Gammill is for open borders. It is also well known how Democratic Rep. Kyrsten Sinema flip flopped on the immigration issue; where she gets tough on immigration on one day -- while reversing her view on another day. Unfortunately and the problem we have with Sinema is voters will not know what they will get with her in light of her many reversals and stances to include criticism with regard to her exploiting veterans and Latinos.